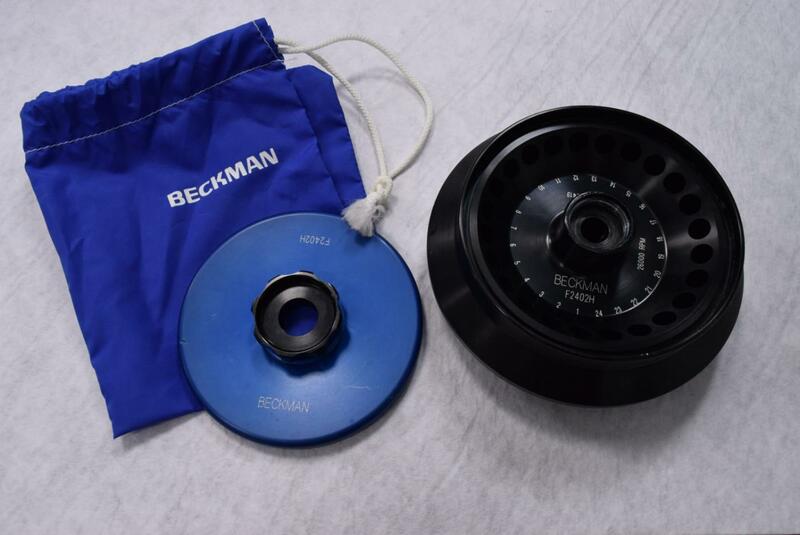 Tested Beckman F2402 H Biocontainment Rotor with Lid 26,000 RPM Max Fixed Angle . New Life Scientific, Inc.
Our technician ran the rotor in a centrifuge and the test results are in the second picture in the photo gallery. The RPM depends on which centrifuge you are using. The max speed for this rotor is 26,000 RPM with the appropriate centrifuge, with the Allegra 21R it is 15,300 RPM.